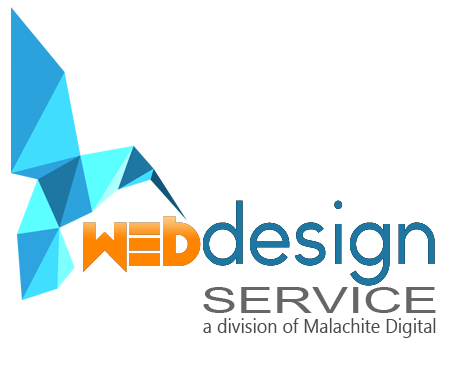 5 page, custom designed, WEB 2.0, brochure website at only R 139.00 (Excl VAT) per month plus an annual domain registration fee of R 150.00 for a .co.za address if you don’t already have one. No additional set up charges apply! Free PDF eMarketing e-book will teach you all you need to know about promoting your business online. 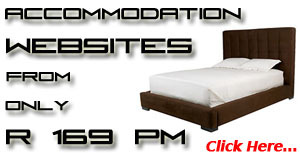 * Note that your site will require an active domain (web address). 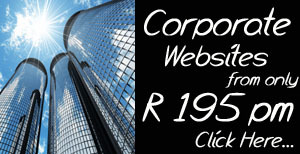 You could use an existing domain, a parked domain if you have one, or register a new .co.za address for only R 150.00 / year or R 185 / year for an international .com/.net/.org address. 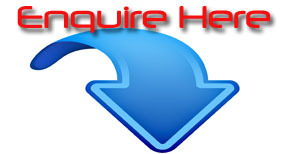 Domain transfers are required for existing and parked sites in order to qualify for the free email address above. Additional addresses are available at R 35 / month / address. This offer includes the first 5 pages limited to 1 000 words and 5 pictures per page OR the upload of the first 35 products. Additional products and pages will be quoted and charged extra or you can upload them yourself for free after the training session. 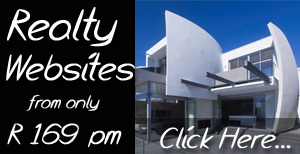 Please note that in spite of the competitive price above, these ARE NOT entry level websites. These powerful web 2.0 systems are currently used by: Wall Street Journal, Sony, Ford, Samsung, CNN, General Electronic, (GE) amongst others so you will be in good company. Installation of a powerful web analytics program enabling you to generate reports on how your visitors search for and find your product, which pages they are most interested in, how long they spend on the site, their geographic location etc. This installation option costs R 15.00 extra / month. 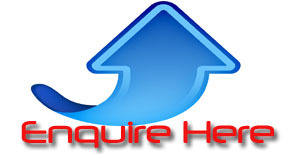 Integration of your site with social media networks, Facebook, Twitter, Youtube, etc R 270. Installation of a gallery for your extensive collection of pictures. This installation option costs R 10.00 extra / month. 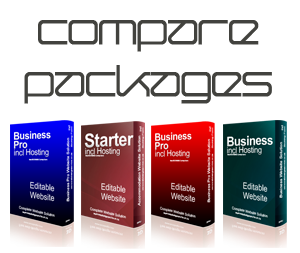 This offer carries a 100% satisfaction guarantee and is totally risk free as no payment is due until you are able to browse to your website. In order to minimize the risk further we only require a twelve month contract, renewable quarterly thereafter with a 60 day notification of cancelation. If you stay with us for 36 months, we will reward your loyalty by giving you a complete site refresh subject to re-signing at the same rate. Due to the relatively small invoice values, a debit order agreement will be entered into. With our powerful custom designed websites, your club could be earning hundreds of Rands every month through online advertising and sponsorships. Most clubs know of businesses who actively target their club members, enticing them to purchase associated products or services. Why not turn this demand into regular monthly income for your club or organisation? 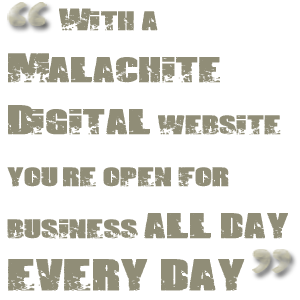 We will show you a number of ways to make money from your website.